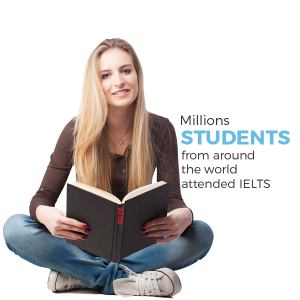 IELTS is designed to assess the language ability of candidate who wants to study or work where English is the language of communication. We provide the best ielts preparation and practice resource through our IELTS course and we also estimate the CEFR (Common European Framework of Reference for Languages) level of students to understand their language skills. It is very effective way to help us understand the different levels of language proficiency. We also provide the best possible online resource with world’s best advice videos and hints and tips on question types, as well as downloadable practice tests to make the students to obtain their desired score..
Each recognizing organization sets its own entry requirements. In some cases both modules may be accepted. If you are in doubt as to which module to take, you should contact the organization you are applying to in order to check their requirements. Both modules cover all four language skills-listening, reading, writing and speaking. Everyone takes the same Listening and Speaking tests.There are different Reading and Writing tests for the Academic and General Training modules. The Listening, Reading and Writing tests must be completed on the same day. There are no breaks between the three written tests. The Speaking test may be taken up to seven days before or after the other three tests. Below Given Are All The Details Of The Courses We Provide In Our Centre. Extra care of weaker students. Briefing on writing & speaking modules. Extra classes are offered to the students until their targets are achieved. To Know More Information Please Visit Our Office Or Call Us At 9876113887.